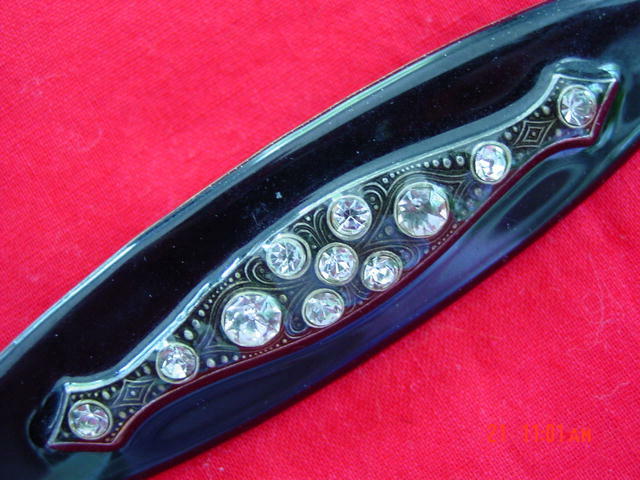 This striking black mourning brooch has a 2.5" victorian shape silver piece in the middle, inlaid with 11 round crystal rhinestones with a black enamel etched pattern. 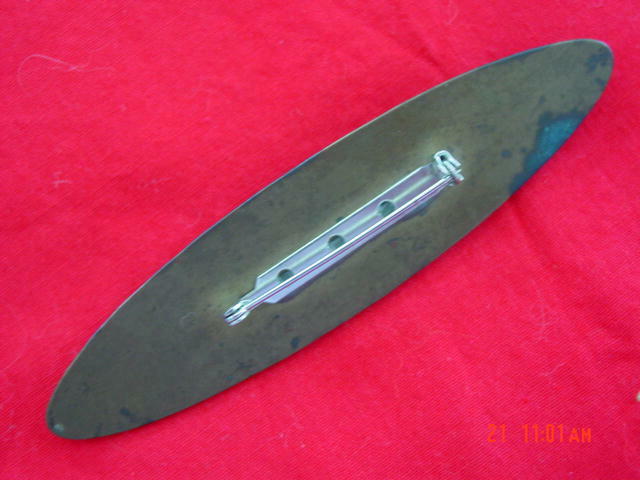 It is set into a 4" brass bar covered with black enamel. 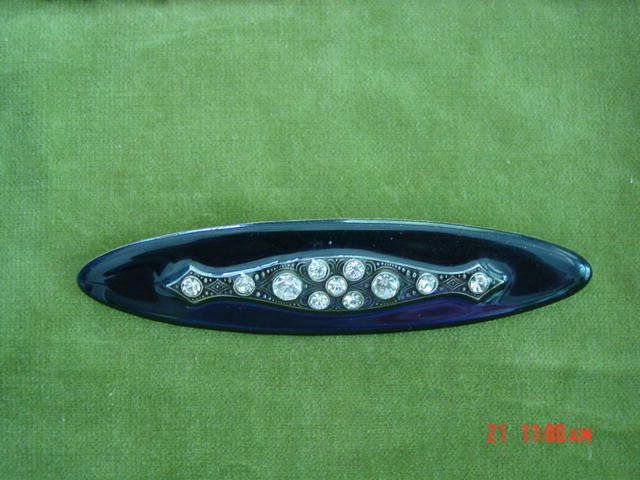 The whole top of the pin was then covered with a clear enamel. There is no chipping of the enamel. The back has a silvertone pin which was obviously replaced from the original. 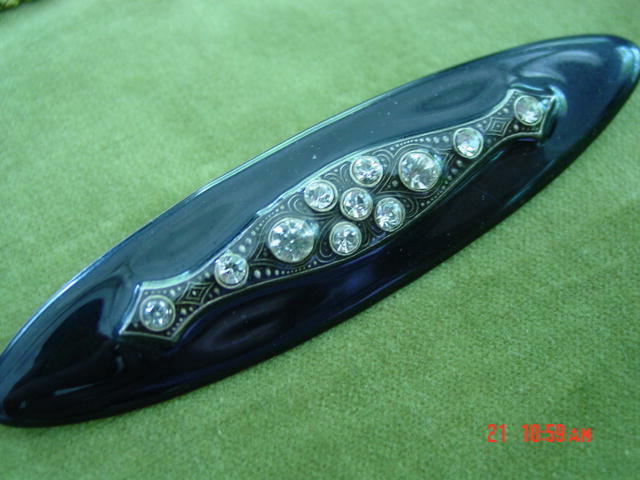 Items Similar To "Victorian Black Enamel and Rhinestone Mourning Brooch Pin"